range of multicultural and ethnic designed products. Their inspiration is derived of the wide palette of diverse and dynamic mix of people and cultures in the UK, Africa, the Caribbean and beyond! Ma Nubiah aim to produce quality, unique and stylish products that not only capture the imagination, but are also something beautiful to treasure as a keepsake from a special time. Alongside greeting cards, Ma Nubiah also offer bespoke wedding invitations and stationery, as well as beautiful gift ideas. My name is Josie and I'm a greeting card publisher who is passionate about developing products that are reflective of my African/Caribbean culture and heritage. After years of being left disappointed with the lack of choice on the market in terms of accessing multicultural and afrocentric greeting cards, I decided to launch my own greeting cards publishing company Ma Nubiah, 2 years ago. Since then Our product range has expanded to include gift ideas such as Mugs, T-Shirts, Picture Frames and Cushions. 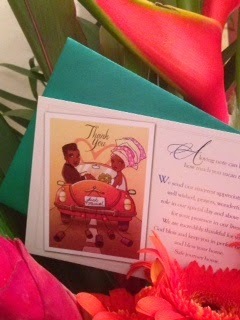 Our transition into designing wedding stationery was quite organic in that it happened through its own natural process! 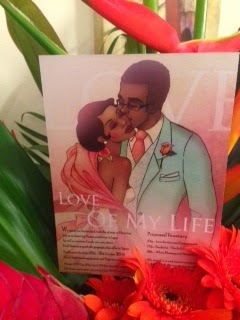 We were approached by someone from America who asked if we would design her invitations and we said yes! 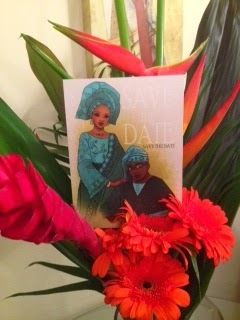 We were then commissioned by a Nigerian/Ghanian couple to design their wedding stationery as the bride explained she had exhausted the market searching for wedding invitations that would reflect not just her and her fiancée's personalities, but also their different ethnic cultures. Since then we have taken on several commissions and designing stationery is now an established part of the services we provide. Tell us about your most popular range? 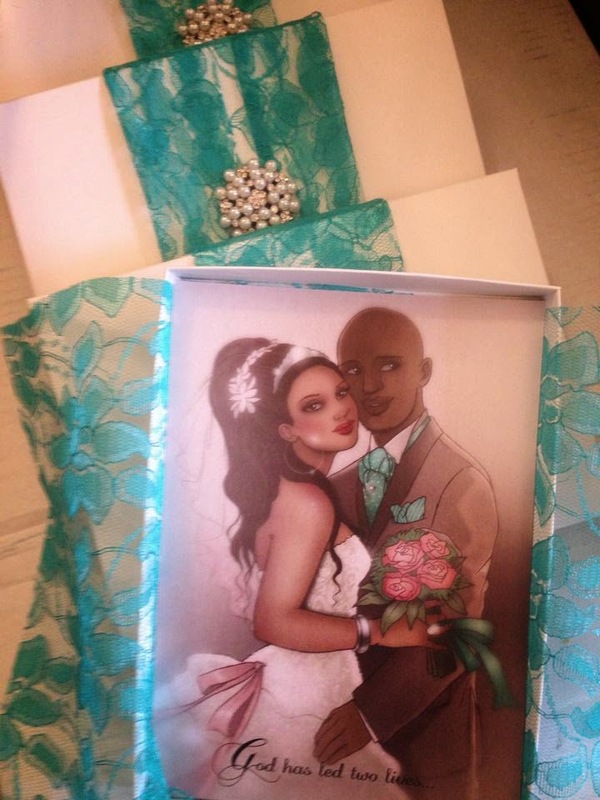 Every couple has their own unique style and preferences and so far all the invitations we've designed have been very bespoke, however there is clearly a central theme running through all of them, and that is they reflect the couples ethnic backgrounds. That said, currently our illustrated invitations are very popular and many couples are choosing to have illustrated images of themselves incorporated within their design. Tell us how will your products benefit the ethnic bride? From my own experience, ethnic brides struggle to source wedding products that allow them to incorporate elements of their ethnicity in their wedding theme. The benefits of using our services is that we are passionate about working with couples to bring their visions to life. The bride will be involved in every stage of the design process and they will have the guarantee that their wedding stationery is truly unique and most importantly, if this is a priority and necessity for her and husband to be, not to mention their extended family! their invitations will also be reflective of their cultural and ethnic backgrounds. What advice would you give a couple when selecting wedding stationery? Whether you choose to send a save-the-date card or an elegant invitation, your wedding stationery gives guests their first glimpse of your wedding theme. So choosing the right set of stationery is the first step in setting the tone for your big day! 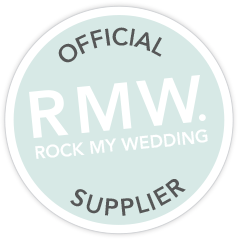 My advise to couples is to get your stationery designer involved very early in the process of planning your wedding. Ask to view samples of their work and start the process early. Unlike off the shelf invitations, bespoke designs can take at least 4-6 weeks to complete the design process and even longer if it is a large order with lots of hand finished details in the design. Any new products for 2015? The last two years have been amazing for us and in 2015 we are hoping to launch our sister company Adero Invitations! The name Adero is South African and means 'She Who Creates Life.' 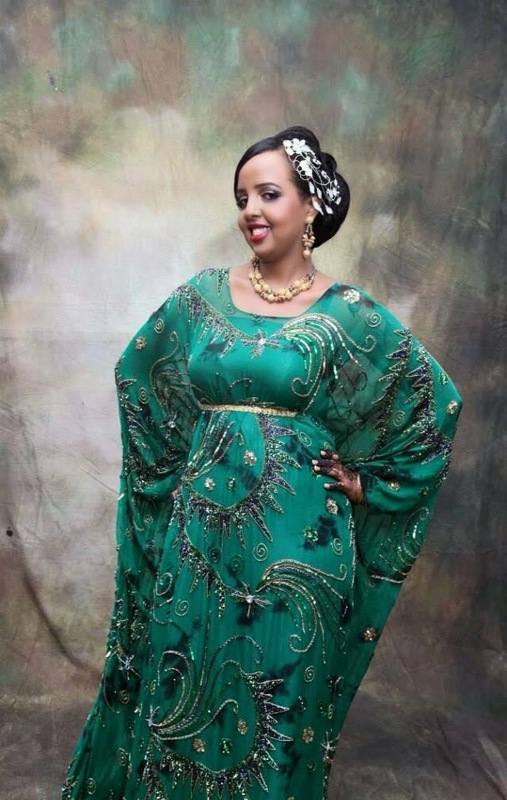 The Adero brand will follow the Ma Nubiah model, in that it will be specialising in bringing the ethnic bride's dreams of multicultural and Afrocentric wedding stationery and products to life. 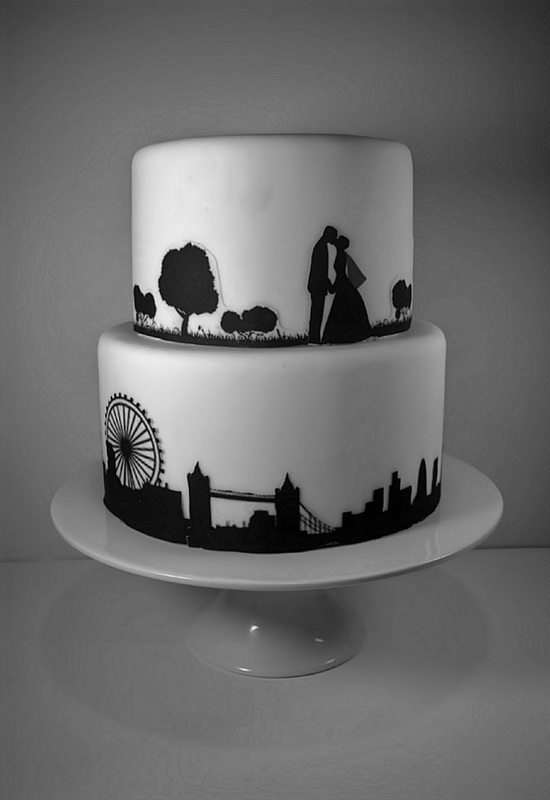 Our aim is to establish ourselves as the first choice for ethnic brides in the U.K.
Cake-maker of excellence Nicola Gill, founder of Honey & Lace Cake Design has recently collaborated with Black Pearl Weddings to create this masterpiece "Urban Romance" for our soon to be released photo-shoot. 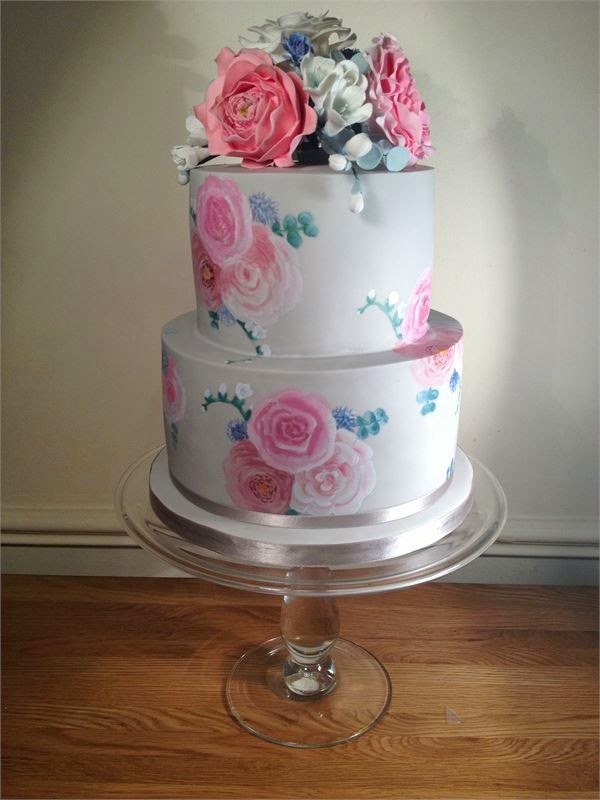 Experienced and skilled, Nicola is capable of creating luxurious cakes with magnificent designs, bespoke specifically to clients requirements with ease, and is a true consummate professional, recently nominated for a prestigious Hitched Breakthrough Award. Here Nicola tells us a little more. Please can you tell us a bit about yourself and your business? I have always been a keen baker but it wasn’t until 2013, after many years of working as a scientist, that I discovered the magical world of sugarcraft. After reading rather a lot of wedding magazines whilst planning my own wedding last year my eyes were opened to the exciting possibilities. Wedding cakes didn’t need to be a three tier fruitcake covered in white icing, they could become a unique representation of the couple’s style and personalities. Honey and Lace Cake Design was born in early 2014. I have since been asked to appear in the UK’s most popular wedding magazine as one of their top cake designers and recently was shortlisted to the Hitched breakthrough awards top ten new cake designers in the UK which is incredibly exciting. Making sugar flowers is my favourite area of sugar craft. I studied botany and enjoy gardening so I find nature a great source of inspiration. 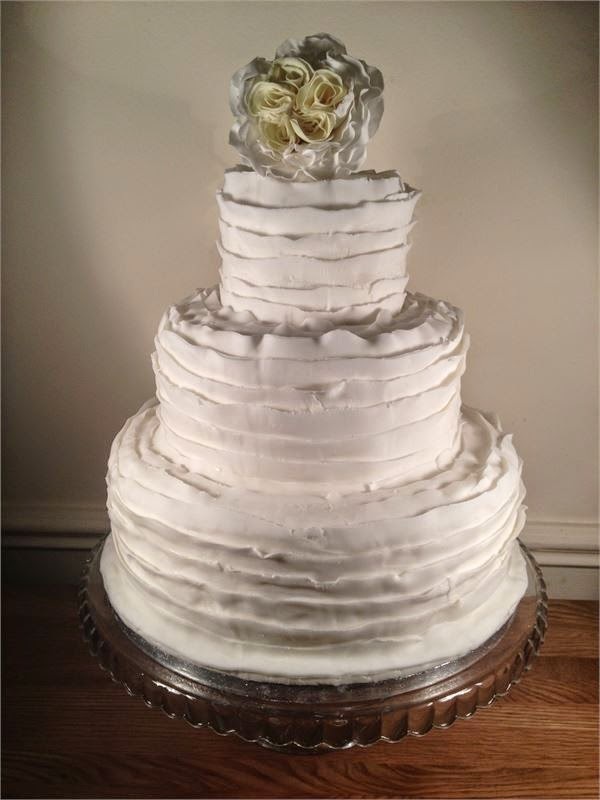 What advice would you give a bride and groom when selecting a wedding cake? Your wedding cake is a chance to express your style and a good cake designer will be able to work with you to create a truly unique cake just for you! Think about the design but also think about the taste, it's nice to have a combination of fruit cake and more modern flavoured sponges so your guests have a choice. 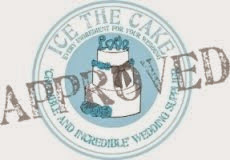 Take some photos of cakes you like and maybe swatches of your colour scheme or your wedding invitation design to your cake tasting, these will be really helpful to give your cake designer a feel for your style. What cake trends have you noticed over the past 6 months? 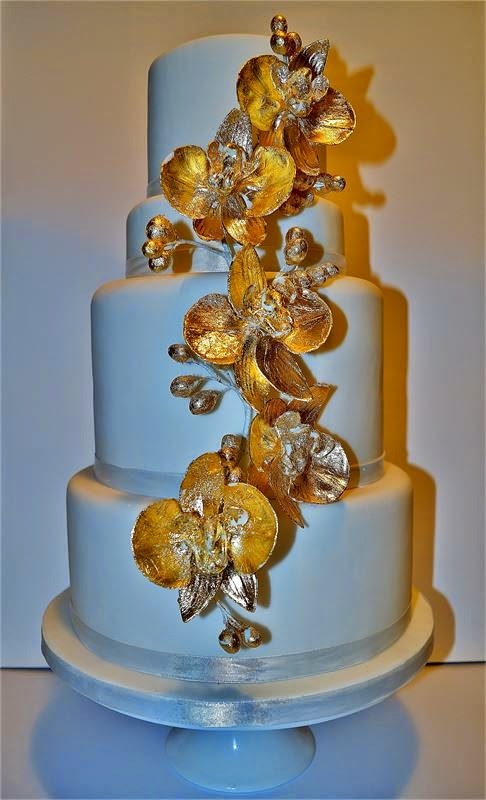 Metallics are still proving popular and I can feel there is a shift back to a more classic style of sugar flowers and hand piped royal icing. Personalised details, such as sugar lace matching the bride's dress, or monograms of the couple's initials, are also popular to create a completely bespoke design. What do is you most popular products? Couples are also getting more adventurous with their cake flavours, some of my most popular choices are rhubarb and custard and chocolate and Cointreau, not something you can find on the supermarket shelves! What is the most elaborate cake request that you have had? Perhaps not the most elaborate, but the most unconventional! I made a lovely personal wedding cake for a wonderful couple getting married at Lewes Castle. 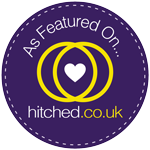 Their reception was at a beachside house in east Sussex and they decorated the garden leading to the beach with bunting, candles and fun board games on each table. They had a jazz band, magician and sparklers for the photographs. 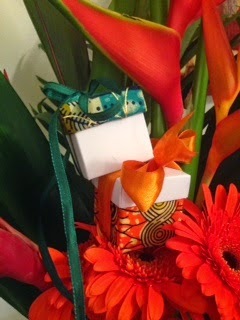 I was given a fairly free design brief - a teacup of roses, a motor bike and absolutely no pink! The result was a unique cake with wired sugar roses in the teacup topper, hand made models of the bride (in her gorgeous vintage tea dress) and groom sitting on their motorbike, tiny sugar bees taken from their wedding invitation design and finished with lots of bright flowers and piped pearls. They were utterly thrilled with the results! 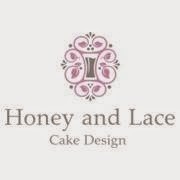 For more information please see www.honeyandlace.co.uk. All images courtesy of Honey and Lace. 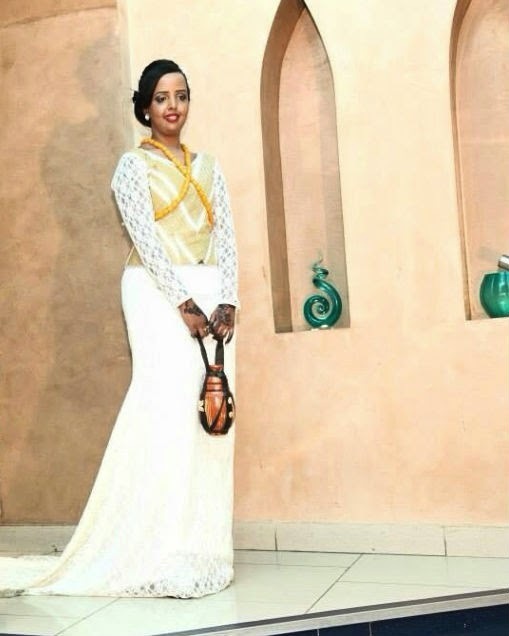 The first episode in our "Ethnic Bride" series focuses exclusively on Naima Mohammed, founder of NayNay Makeup, an up and coming Make-Up Artist with a real flair for wedding style. Extremely talented, Naima has recently assisted Black Pearl Weddings with a styled photo-shoot, soon to be released for your enjoyment. 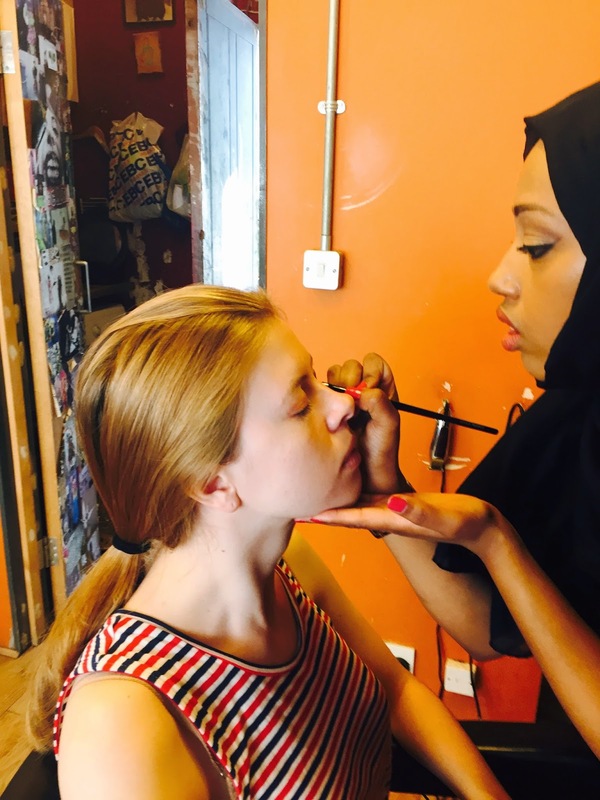 Developing her career, Naima is a versatile and adept artist with a speciality for Afro-Caribbean and African make up, although her prowess extends to European, Asian and traditional make up styles. Here we find out more about Naima and her vocation. I have always been interested in make-up and the makeup industry, from a young age I was fascinated by Makeup as an Art form. I saw Art in media which developed my passion for creating makeup looks on my family and friends. I increased my knowledge by paying for several makeup courses. With further self-study I gradually built my skills and I became a Makeup Artist. I have been working as a freelance makeup artist for a year now. I specialise in creating that perfect look for weddings and special occasion, I know all of the secrets that include how the lightening affects the way make-up looks and how certain colours can make your best features stand out. 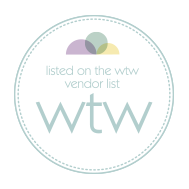 I have the skills to provide the professional service that clients expect and deserve and I always stay updated on all the latest trends and styles. I am passionate about makeup. What type of makeup do you specialise in? 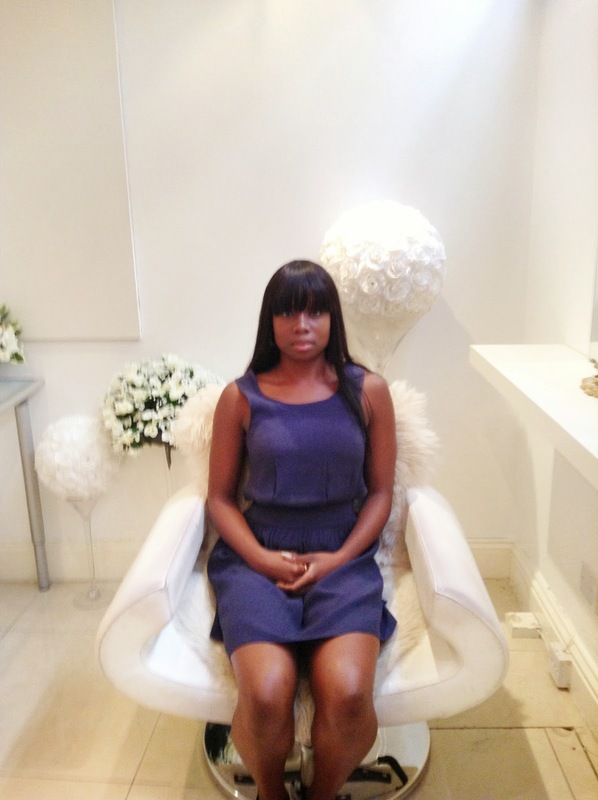 I specialise in makeup for ethnic brides, bridesmaids and mothers and flower girls. I also do make-up for photo shoots for model portfolios and special occasion. Do you have any makeup tips you can share? "Set your foundation with a translucent powder, less powder goes a long way". The most naturally looking powder on the market is translucent powder, a white loose powder or pressed powder that applies clear and translucent. Translucent powder helps achieve an airbrushed look on your face and has blurring properties making your pores look smaller and your overall skin look smoother. Also it's great at keeping your face shine & oil free. However, beware if you apply too much powder it can cause a white flash in flash photography. It can be used as an everyday powder it not only sets your makeup like a traditional powder but it’s much more silky & finely milled so it looks airbrushed. My favourite translucent powders are Makeup Forever HD powder, MAC Prep & Prime, NARS Translucent powder. 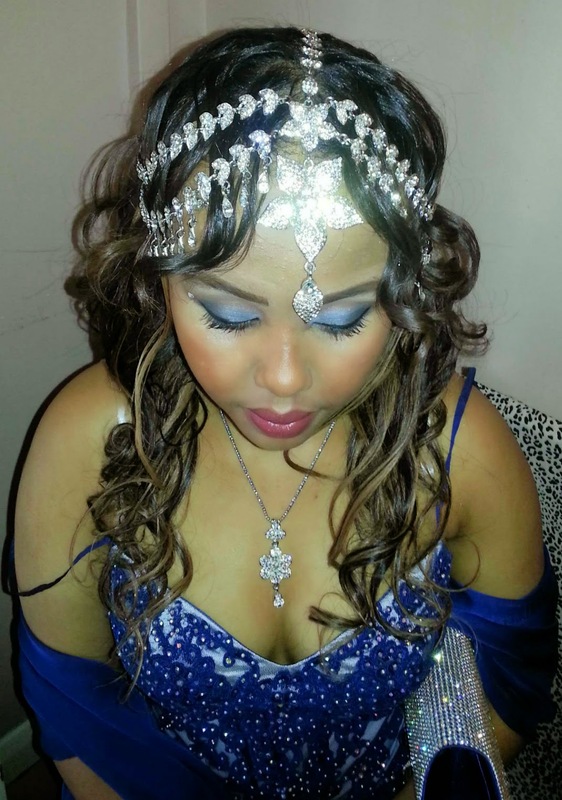 What type of makeup suits an ethnic bride? Ethnic women have the most beautiful features such as dark thick eye brows, almond shaped eyes and fuller lips which non ethnic women love to achieve in their makeup. In the makeup industry ethnic beauty is a trend which, celebrities and the media have helped promote. The main focus is the eyes when applying makeup for ethnic brides. For my ethnic clients I like to enhance their strong features such as the eyes, eye brows and lips. I would enhance their eyes, by applying a natural eye make-up with eyeliner and lashes or an exotic smokey look of various colours, eye shadows of gold, green and red colours, and eye shadows of their choice. I would finish the smokey eye look with lashes. Smokey eye makeup suits an ethnic bride, however, most ethnic brides go for a natural look that that gives a glow, which can be achieved by matching the right foundation and getting the skin tone right, as most brides fear having ashy and heavy makeup on their big day. For this beautiful bride picture above, I used a shimmery golden brown with dark brown Matt eye shadow from the corner of her eye and crease. I also pumped up her lashes with a few false individual ones and plenty of mascara. I also defined her brows to further enhance her eyes. Ethnic women vary in complexion tones from golden complexions to darker, richer tones. 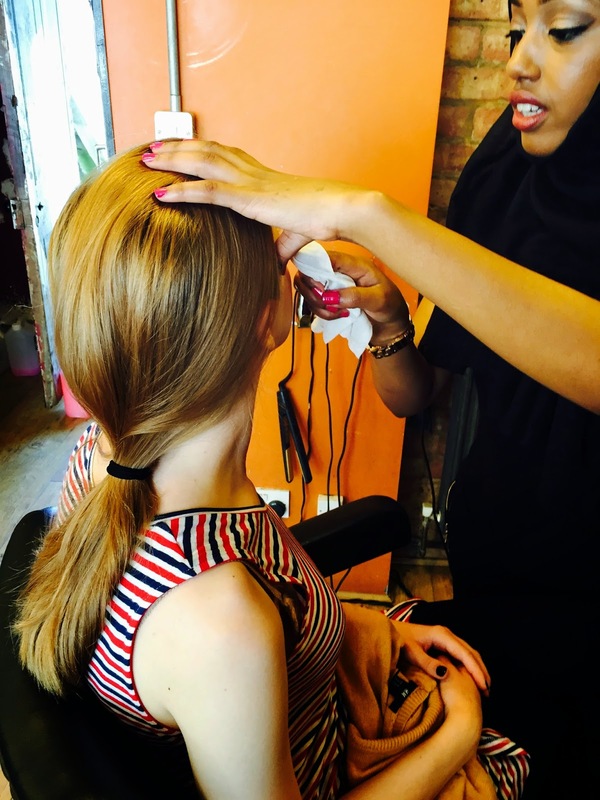 By choosing the right makeup colour for your specific skin tone, I can create an absolutely flawless look. What advice would you give a bride when picking a makeup artist? When choosing your Bridal Makeup Artist it’s really helpful to have a look at their portfolio, do they have real life examples of the Brides that they have made up? Does the beauty of the bride shine through? Are you inspired? 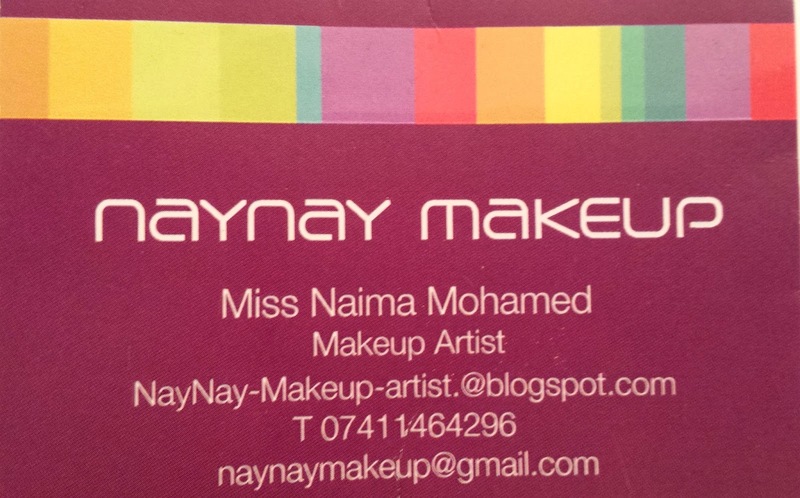 All Photos are courtesy of Naynay Makeup. 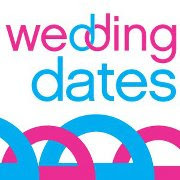 Black Pearl Weddings are delighted to announce that our newest focus is going to be on “Ethnic Brides”. We feel that the huge wealth of cultures around the globe provide some sublime design techniques, with styles and flavours unique yet transferable in a way that can compliment any theme. So we invite you to take the chance to enjoy all we will be offering on this inspirational topic over the coming months on our Blog & Social Media sites. As the season progresses fully into Autumn, there are some truly spectacular changes in the natural surroundings. Colours become rich, golden and brown, the air develops that comforting scent on the build up to winter, and food trends shift into hearty, warming meals. Many intrepid couples will definitely want to incorporate the beautiful atmospheric autumn feel into their wedding, opting to style an outdoor ceremony or hold it in a venue with sumptuous grounds that will reflect in their wedding photos in a way worthy of stalwart romantic artistes from ages gone by. Then there are those who adore the idea, but aren’t so inclined to utilize the great outdoors, instead preferring creature comforts. Well times have certainly changed, and the two options are no longer mutually exclusive. 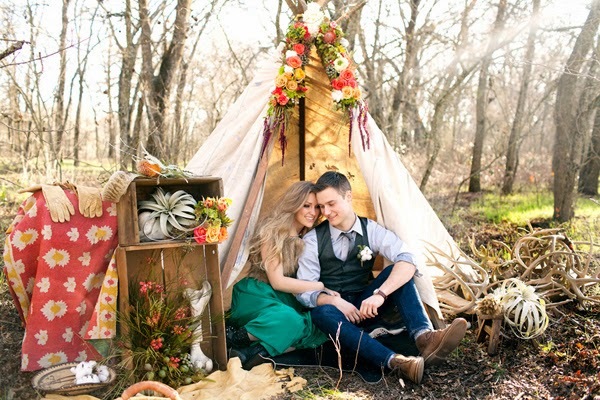 If you are giving serious thought to planning an autumn wedding, and yearn for luxury, but are reticent at the cost of the stunning ambience of a truly romantic time of year, then fear not… Glamping is a relatively new and increasingly sought after alternative to “roughing it” in the countryside location of your dreams. Combining the institution of camping in the countryside, and luxury fit for royalty, Glamping is a glamorous alternative which enables you to have all the beauty of nature from inside some virtually palatial yurts, bell tents, tipi’s, pavilions or even huts, with literally everything provided you could possibly wish for. As Glamping has grown in popularity, there have been some truly splendid sites deciding to offer this sumptuous new trend for weddings, short breaks and even honeymoons. So please take the opportunity to enjoy this selection of images that Black Pearl Weddings take great pleasure in sharing with you, to give an idea of just how exquisite a break in the woods can now be!